Exploding out of leading art institutions into streets, homes and public spaces, In Between Time has grown over two decades to become a critically acclaimed and globally respected producer of contemporary and live art. 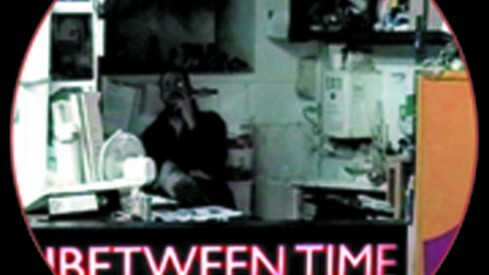 In Between Time emerged as part of the live programme at Arnolfini, produced by Helen Cole between 1997-2009. The first In Between Time festival was established in Bristol as an international biennial of live art and future performance practices. The Paul Hamlyn Foundation awarded Helen Cole a prestigious Breakthrough Award. She left Arnolfini to establish In Between Time as an independent organisation. IBT10 Festival took place over five days, across the streets and art spaces of Bristol, in over 75 events, with 130 artists from the UK and beyond. In Between Time became an Arts Council England National Portfolio Organisation, securing its future and programme. 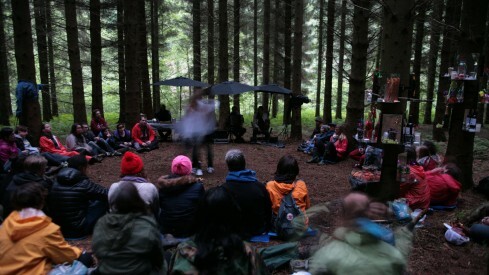 Up to Nature was a major collaboration with four European partners that enticed artists and audiences to leave the city and enter the forest. 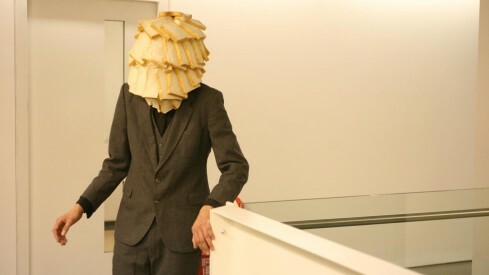 IBT13 Festival featured 100 artists in sell-out shows. Over four days across Bristol, 30,000 people stepped out of the ordinary to witness a fake moon rising, a living room opera and much more. Night Songs was created in partnership with National Trust, featuring musician Patrick Wolf, a new song commission and a national tour across four National Trust properties. IBT15 Festival welcomed record audiences with over 100,000 people from 33 countries experiencing public artworks, performances and events. Highlights included Fujiko Nakaya’s Fog Bridge, Nightwalks with Teenagers by Mammalian Diving Reflex and The Storm, an immersive club event. In Between Time was awarded a grant from Arts Council England to stage the first IBT International Showcase and welcome over 200 producers from across the world. IBT17 Festival took the theme Stand Up, Stand Up. With 40 bold artists across 10 locations and over 21,100 audiences experiences. Highlights include the UK Premiere of The Record by 600 HIGHWAYMEN, Playing Up for children and families by Live Art Development Agency and Instant Dissidence’s Dancing With Strangers: From Calais to England. We launched the IBT International Showcase that presented 22 exceptional live artists to over 200 delegates from across the globe and 40 international delegates were subsidised by Arts Council England, Australia Council and British Council to develop new global markets for UK artists.